Earlier this month, the U.S. Department of Energy convened all eight Rooftop Solar Challenge II (RSCII) teams in Washington, D.C., to foster collaboration among the teams and to shine light on success stories and lessons learned from across the country. The summit revealed the extensive reach of the RSCII program. The combined effort of all the RSCII teams represent 147 million people, or 47% of the total U.S. population, and span across 26 states plus D.C.
RSCII strives to spread the successes of the first round to a broader national audience. With soft costs—all non-hardware costs, such as permit fees and labor for installation—constituting over 64% of the total cost to install a PV system, it is clear that communities can play a key role in supporting their local solar industry by minimizing these cost barriers. Results from last year’s effort provide evidence that simple process and administrative changes can provide a huge boost to local industry. Washington, D.C. has taken bold steps to make the District a leader in clean energy and sustainability. 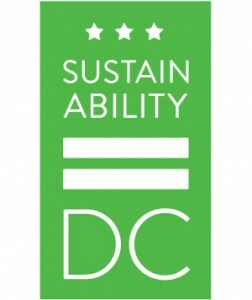 Through the passage of the Sustainable D.C. Act, Mayor Vincent Gray and the D.C. Council have laid out a path to establish the District as the healthiest, greenest, most livable city in the nation over the next 20 years. As the new D.C. 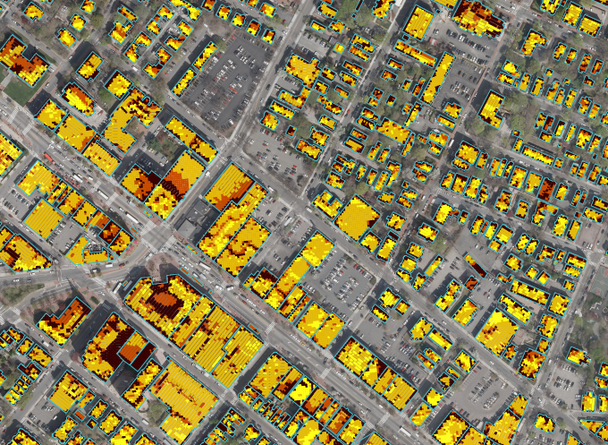 Solar Map shows, solar energy is at the forefront of the City’s efforts to transform itself into a model city for the 21st century. Though there is no shortage of interest in adopting solar electricity, the majority of homes and businesses cannot install a renewable energy system on their own property. For a host of reasons—including being a renter, rooftop shading, financial barriers, and local policy restrictions—onsite solar PV is not an option for most people in urban areas. 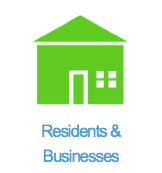 Community shared solar resolves these issues by allowing developers to install small to mid-sized solar PV systems on available rooftops or land, and sell portions of the locally produced power to individual subscribers within the same utility service territory. From decreasing air pollution and energy bills to generating local jobs and investment opportunities, policy makers and planners in American municipalities have taken serious notice of solar energy’s benefits. 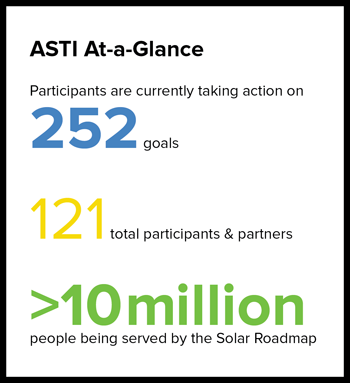 With the help of the Solar Roadmap, ASTI participants have taken steps to include solar accessibility and readiness standards in their long-term general plans. Developed from national best practices, the Solar Roadmap’s Planning and Zoning goals highlight the simple policy changes that communities can adopt to sustain solar market growth and its positive impacts. 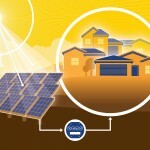 Image courtesy of Strategic Energy Innovations Inc.
Optony has partnered with Strategic Energy Innovations (SEI) to help recruit new counties and cities throughout California and Nevada to the American Solar Transformation Initiative (ASTI). SEI is no stranger to Optony’s mission, having collaborated with the team to implement various solar projects throughout California and the Western United States over the past few years. Falling prices and technological advancements have made solar photovoltaic systems more accessible to residents and businesses than ever before. From evaluating your building’s solar production potential to exploring affordable financing options, the Solar Roadmap’s resource library offers up-to-date evaluation tools and educational resources to guide residents and businesses through every step of the decision-making process.